1. A turbulent romantic life: While your tenant has every right to privacy, a string of overnight guests can spell trouble down the road. If your tenant is sharing the keys to the property, another adult will have access to your building — an adult you have not screened or even met. People meet, fall in love and decide to live together every day, and that’s a great thing — but it can spell trouble for your property. Most tenants won’t realize that they have an obligation to let you know that they have moved another person onto your property. If you have a good lease, there is likely a requirement that you be informed of all new tenants. Check your lease and proceed from there to ward off any potential problems. 2. A new arrival of the four footed variety: Your tenant’s tired old Basset Hound passed away, and after a period of grieving, a new puppy has been chosen. The problem here lies with breed and activity level. If you approved an older, sedate, non-threatening breed, you have the right to know that a new pet has been purchased, and what to expect from that new animal. Your lease should specify the pet that was allowed, and if a new pet has been acquired, it will need to meet your guidelines. Admire the puppy, but check your lease and make sure you ask some questions about his parentage and where he’ll be living during the day. 3. Your tenant is moving on: Rental properties are transient residences, but even the best tenant can fall short of funds or lose track of time when they are moving from one place to another. While most move-outs go smoothly, some tenants can adopt a “nothing to lose” attitude as the big day approaches. If you’ve got a tenant that is planning to move, keep a closer eye on the situation than you normally would, just to be sure you are paid in full and that the property is left in acceptable condition. 4. Trouble in paradise: Having a new boyfriend or girlfriend move in can be a red flag — but so can a spouse or significant other who is on the way out. Shouting matches, frequent reports of trouble by other neighbors and other displays of a relationship in trouble should be a red flag for you as well. You face two potential problems when a relationship is on the rocks — damage to your property and a loss of tenant income. If the breadwinner moves out — or even if the person paying half of the rent moves on, the remaining tenant will struggle to pay the bills. Make sure you know who is living in the property and be aware of any unexpected move outs or departures. 5. Financial crisis sets in: If your tenant is facing some financial stress that is not impacting his ability to pay the rent, you should still keep a closer eye on the situation. People who are repeatedly having issues paying the utilities or experiencing cutoffs are living very close to the edge, and a single misstep could result in the rent not being paid. If you notice that you often have utility workers in and out of a unit on a monthly basis, they may be turning off and restoring services and signifying that a problem lies ahead. While you may not be able to ward off every problem, as much advanced notice as possible will help you protect your property and your investment. 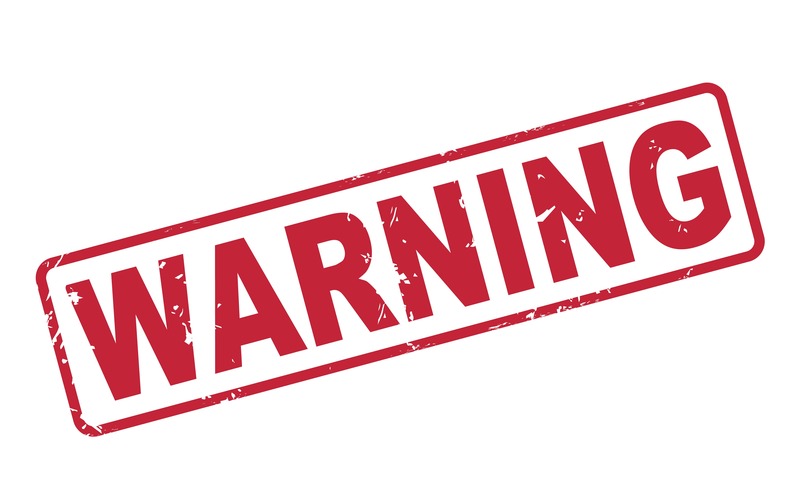 If you do notice one or more of these warning signs, simply being more aware of the property and making sure that the lease and property rules are being followed may ward off a problem or give you peace of mind.